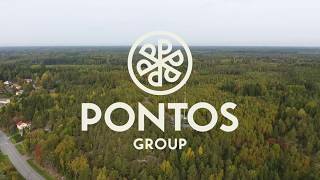 Pontos invests responsibly and believes in long-term cooperation as the cornerstone of business. We make diversified investments in the industries of the future. We operate flexibly, adjusting to the sector and requirements of the companies that we invest in. The option to actively participate in the development of the company – typically through board work. R8tech is a technology company with a goal to reduce complex buildings’ energy consumption while offering better indoor climate. The company has developed a software that uses past, present and future forecast of buildings’ temperature and ventilation statistics, weather and energy price fluctuations to optimize buildings’ indoor temperature and ventilation with minimal energy costs. Software is connected with building’s automation system, and requires minimal user interference once in use. The main focus of the zero risk software is in shopping centers, office buildings and hotels. Hintsa is a leading provider of high performance and wellbeing services. Its science-based methods for optimising health, wellbeing and performance have been proven in the most challenging environments of business and sports. Clients, from Formula 1 champions and Fortune 500 CEOs to executive teams and employees worldwide, trust Hintsa to help them succeed in their fields. Behind every success story is the support of over 100 professionals. Hintsa’s Performance Coaches, Doctors, and Software Developers work from offices in Zurich, Geneva, London, Helsinki, Oslo and Zug. Together, they share a common goal: to unlock your full potential. Valmet Automotive is a leading provider for automotive engineering and manufacturing services as well as for battery and convertible roof systems. The company’s special areas of expertise include premium cars, solutions for electric mobility and convertibles. Valmet Automotive employs more than 5,000 professionals in Finland, Germany, Poland, and Spain. 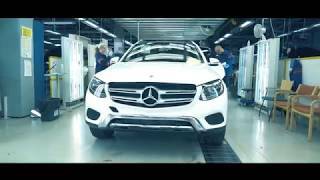 Valmet Automotive’s car manufacturing references in Finland include Mercedes-Benz and Porsche. Ficolo is a colocation and cloud service company specializing in Cloud Delivery services. The company owns one of Finland’s largest data centers, built in the underground rock cave of Ulvila, and a data center acquired in 2018 in Tampere. Ficolo is currently planning a major data center in the metropolitan area. Ficolo has over a hundred customers from six different countries and has a total of tens of millions of users. Ficolo’s main customer groups are: Producers of IT Services, Producers of Software as a Service and Cloud Service Providers. Blueprint Genetics (BpG) is a genetics company with offices in Helsinki, San Francisco, and Dubai. The BpG team includes cardiologists, genetic scientists, bioinformaticians, DNA biologists, and business developers who provide comprehensive, high-quality genetic diagnostics using Next-Generation Sequencing (NGS) technologies. Blueprint provides unique genetic diagnostics and top quality clinical interpretations fast and incredibly cost-efficiently. The innovations enable top quality clinical analysis and interpretation within 21 days of receiving a sample. Oplax Oy is a leading Finnish manufacturer of wooden pallets. The company produces wooden pallets for the paper and steel industries, among others. Oplax also provides basic recycling and logistics services for paper mills and playground equipment manufacturers. Oplax has two factories in North Finland. In 2014, Oplax started production in Syktyvkar, North Russia. Oplax produces annually approximately 1,300,000 wooden pallets and packages.